Håfa Adai and Welcome to Holiday Resort & Spa Guam! Set in the heart of Guam's tourist hub, Tumon, the Holiday Resort & Spa Guam puts you in reach of entertainment, recreational activities, luxury and budget shopping, and a variety of must-try restaurants. Although our central location may keep travelers busy, Holiday Resort & Spa also projects a sense of relaxation, elegance, and style. Enjoy the luxury of walking one minute to the white sands of Matapang Beach while basking in the radiant sun; admire the sunset over panoramic ocean views, or dip into the peaceful lagoon and snorkel among the abundant marine life in the Tumon Bay sanctuary. 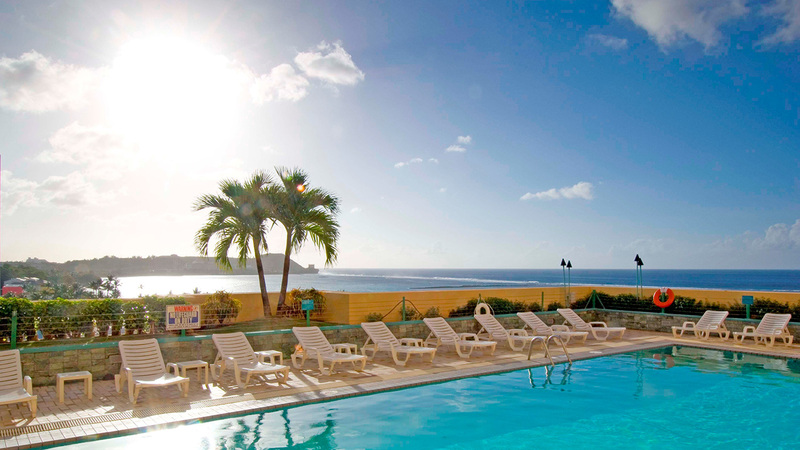 Whether it is business or leisure, our beachfront resort is the perfect place to experience all that Guam offers. © 2018 Holiday Resort & Spa Guam. All rights reserved.